Sunshine Academy’s Spring Music Shows will take place June 14 – 16, 2016. Outlined below are the schedules and dates for the different Sunshine Academy locations. Please join us in the PreK classrooms on Tuesday, June 14th for our winter music workshop and show. 4:45 – 5:15 – Infant/Toddler Music Workshop – this is an interactive workshop where parents participate with thier children to learn about how we teach music to infants and toddlers. 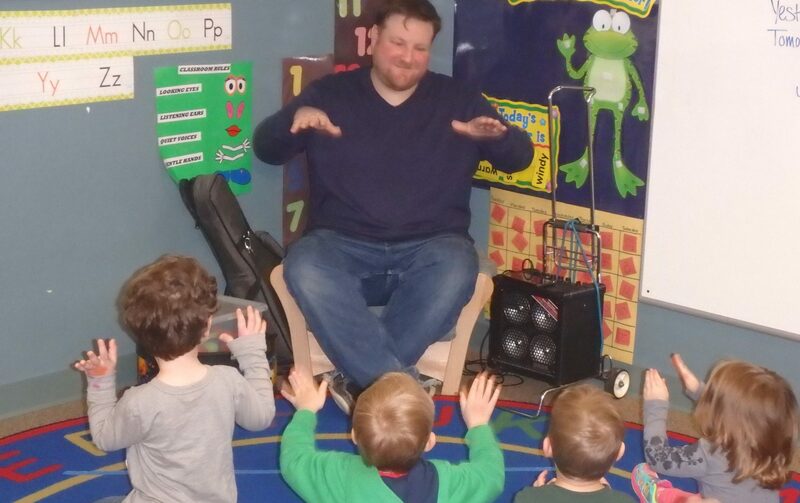 5:30 – 6:00 – Preschool and PreK Music Show – come and enjoy your children performing all new original songs written by David Hanft that are designed specifically to teach new musical concepts. Come see how much fun it can be learning new music! We look forward to seeing all families at this exciting event! Light refreshments will be served at the conclusion of each show. Please join us in the auditorium on Wednesday, June 15th for our spring music workshop and show. Please join us in the auditorium at 302 Harvard on Thursday, June 16th for our winter music workshop and show.